Highstreet 2.0 will open its doors again for a gathering of 혁헿혂헲 헳헮헻헮혁헶헰혀! Discover 2 areas with the toughest artists in 헿헮현 헵헮헿헱혀혁혆헹헲 and 혂헽혁헲헺헽헼 헵헮헿헱헰헼헿헲! Be prepared for relentless kicks and high speed sounds! 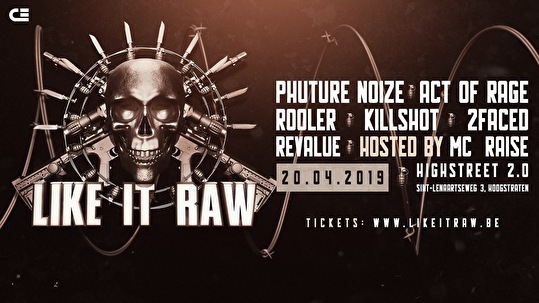 Tickets are available at www.likeitraw.be.